There are some session beers that are just mind blowing, and I’m not even talking about IPA’s. Here we have a beer from Maine, that is so dank, crispy, and refreshing, that it is up there as one of my favorite sessions, along with Carton Boat, and Daytime from Lagunitas. 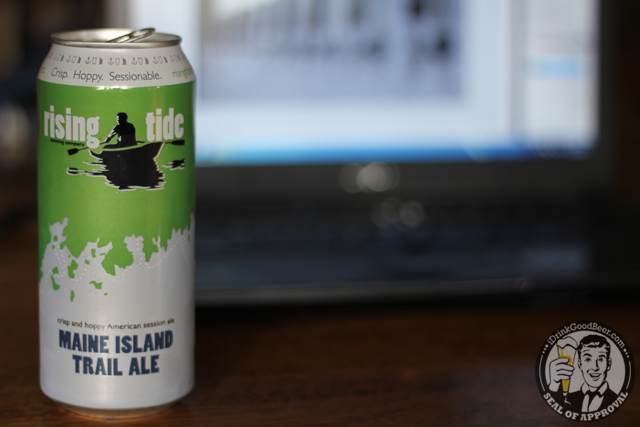 That beer is Maine Island Trail Ale from Rising Tide. Rising Tide opened it’s doors in Portland in 2010, and have been making hand crafted artisanal beers in small batches for the drinkers of Maine, Massachusetts, New Hampshire, and Vermont. Unless you are taking a trip up north, this beer might be a bit tough to find outside of New England. Thanks to my friends at Iron Heart Canning, I was able to try this delicious ale just a week outside it being put in a can. If you are into sessions, this is a must seek out for you. The one and only can I had, left me wishing I had a whole case. The beer is just flat out awesome, and that is all there is to it. 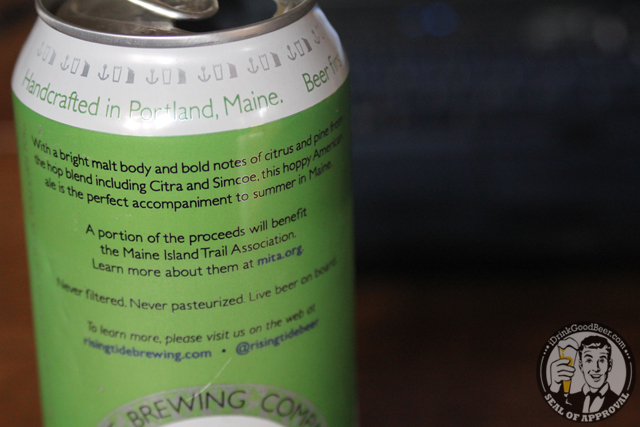 Cheers to Rising Tide for a phenomenal beer and donating to a good cause.